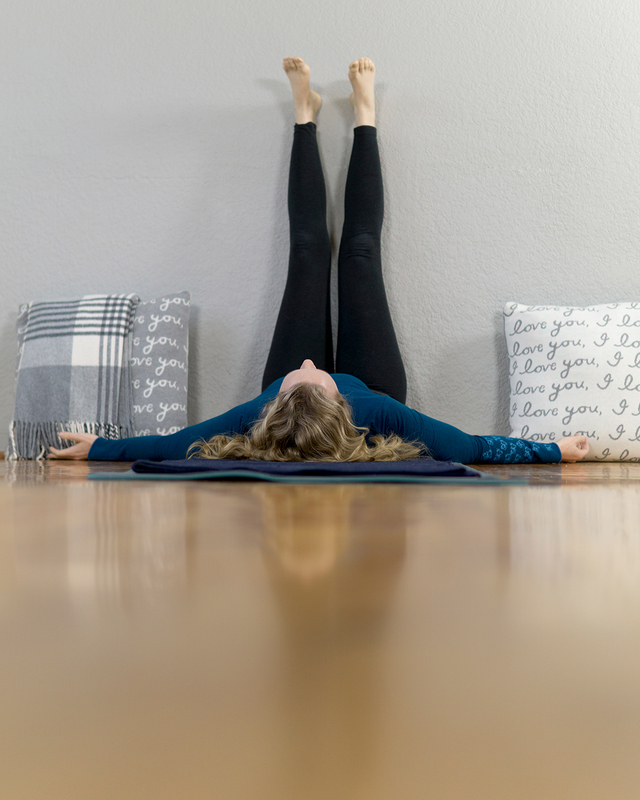 This restorative yoga class for beginners is a full body restorative yoga class with a bolster. If you do not have a bolster I will show you have to use pillows and blankets from around your home to make your own. This fast-paced world asks us to run all the time. The pace of constant rushing causes us to suffer from anxiety and insomnia. As a result we do not get adequate rest are often completely exhausted physically, mentally, emotionally, energetically and spiritually. Restorative yoga gives us a pause in our day to restore our energy. In restorative yoga we are practicing supported, passive yoga poses. With the use of yoga props such as bolsters, blocks, blankets and walls your body is supported into a state of recovery. Restorative yoga is excellent for anxiety and stress relief. The supportive, passive poses of restorative yoga allow your body to access your parasympathetic nervous system or your rest and digest. In every restorative yoga class your spine will be moved in forward bends, inversions, backbends and twists so that if you experience back pain you can rest assured knowing that your back pain will be cared for as well.